In macOS High Sierra Apple included a few small updates to Siri for desktops and laptops, one being Type to Siri - which allows you to trigger the virtual assistant by using a keyboard shortcut and typing in your query. The feature needs to be activated in MacOS (High Sierra) before use. 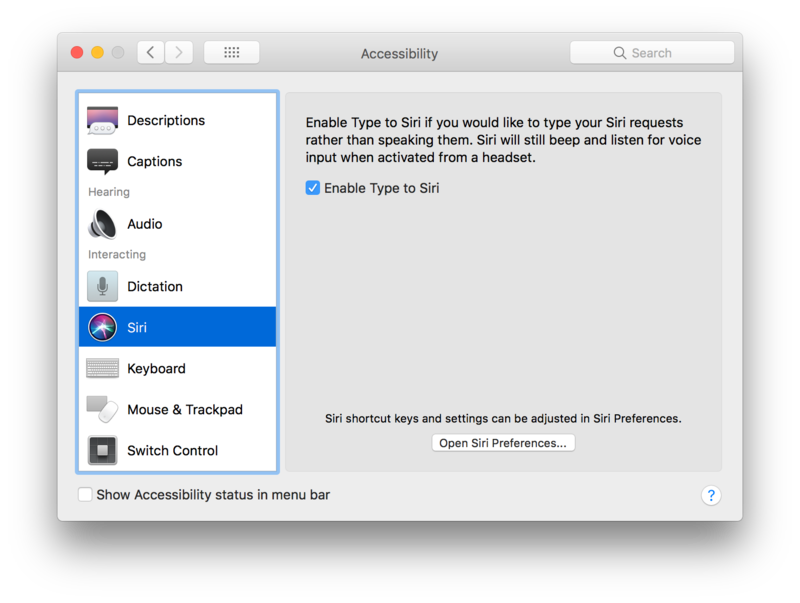 Open System Preferences and navigate to Accessibility. Check Enable Type to Siri. Trigger Siri by using the keyboard shortcut. Type in your query and Siri will process your request. 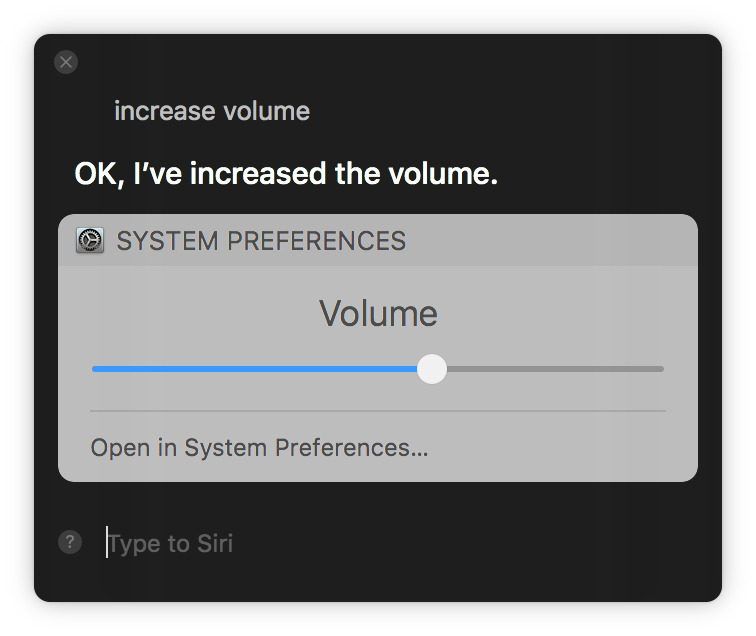 Using Siri on MacOS you can also trigger system commands, such as increasing volume and opening applications. It's worth noting that even though you are using your keyboard to communicate with Siri, results will be spoken back to you as well as being displayed on the screen. So it's advisable to turn the volume down (or disable voice feedback in Siri preferences) in public places or when you don't want your results to be heard.